Growth Recordings is dedicated to the growth and fulfillment of body, mind and soul. Our CDs can be purchased on-line. To ensure a safe and secure on-line transaction, we use PayPal (an eBay company). To purchase, click on CD cover below or scroll down to the appropriate PayPal button. "Transports the listener to a joyful and sacred place. A unique CD." "Melt into an ocean of Peace", "Helped bring peace and harmony into my life." Recommended by therapists, healers and doctors! 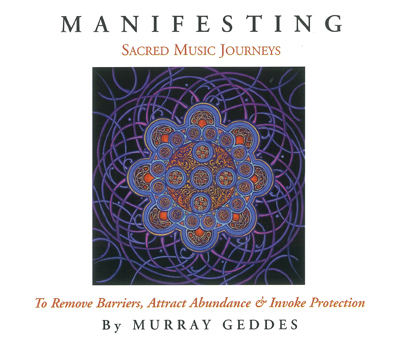 filled with chanting, callings, invocations, awakenings, adorations, celebrations to focus intentions and strengthen manifestations. This meditation calls upon Ganesha, the elephant deity that helps us remove barriers from our path (both inside and out). The seed mantra (‘Gum’) as well as the full mantra (‘Om Gum Ganapatai Namaha’) is sung within the Hundusani raga as we journey from an awakening to an invocation to a celebration and to a ‘letting go’. Calling upon the exquisite charms of Lakshmi, this musical voyage attracts her gift of abundance with the mantra (Om Shrim Klim Lakshmiyei 'Namaha' (and) 'Swaha') and carries us along a path of discovery, play and growth, to honour all the beautiful blessings that come into manifestation to enrich and enhance our lives. Starting with her divine instrument of the sea conch, a chorus of allies and guardians are called forth to create a rich and powerful tapestry of sounds and textures to invoke the spirit of Durga, the Universal Mother of Protection. One of the primary themes of this piece is the divine chant of ‘Durga Jai Jai Ma’. "Exquisite! On a level from 1 to 10, it's a 12!" Four Sanskrit Goddess chants beautifully arranged to meditate to, chant along with or play in the background to clear your space. therapists, counselors, healers and doctors. plus the highly praised "MA" chant. Healing the Inner Child (31 minutes) is a nurturing guided meditation that connects you to your inner child as you feel the loving embrace of the Goddess all around you. MA Chant (13 minutes) is a unique sounding meditation that evokes the image of 13 female voices chanting ‘MA” in a Goddess temple 5-6000 years ago. Coming Home - Creating a Safe Place (23 minutes) is a magical guided meditation that takes you by a river into the healing lap of Mother Earth where you create a sacred healing circle to connect to the profundity and wisdom that lies right at the core of your inner child. 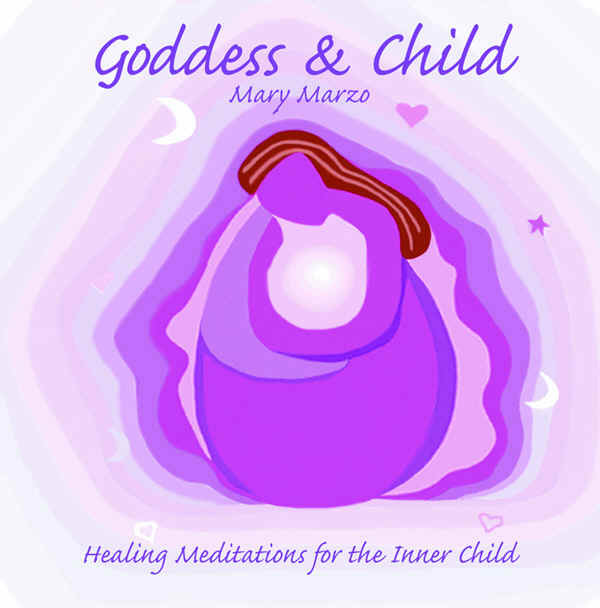 Goddess Relaxation & Meditations has reached several best seller lists and has touched many worldwide! plus one deep full body Relaxation. Celebrating 13 year Anniversary ! 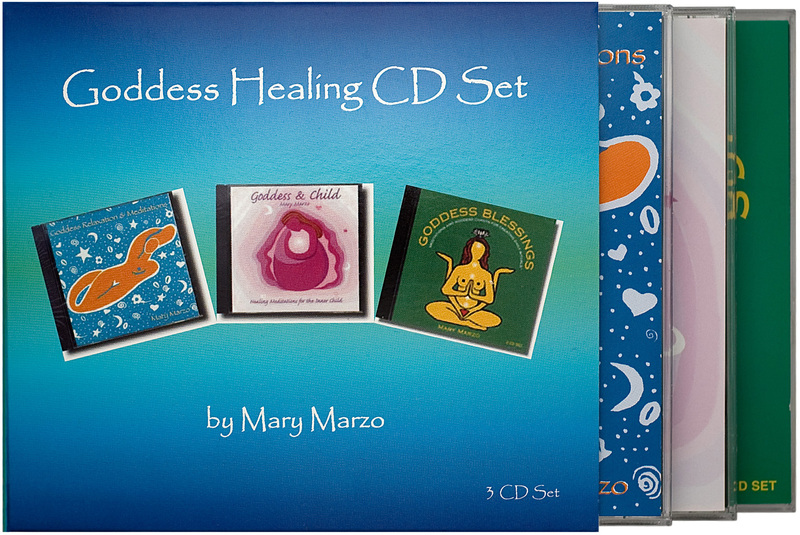 "Marzo's voice is deep and rich, her cadences soothing, and her directions make it easy to relax and enter a deep state of healing relaxation. Marzo takes care to create a safe place in which to relax, protected. I will listen to these meditations frequently." A 30-minute deep full Relaxation that encompasses the entire body. Mary’s voice immediately puts us at ease and helps us scan for areas in the body holding tension. She then guides us through letting go of the "tight spots" in a gentle, non-judgmental way, thereby releasing the tension until we are fully and deeply relaxed. The emphasis is self-empowerment and self-healing. A 18-minute Grounding Meditation with Mother Earth. Here, Mary focuses on deepening our connection to our bodies and the Mother. Making a complete circle of healing by sending the energy to the earth in gratitude as a giveaway and receiving it back in our bodies to renew and regenerate. She then helps us find a personal symbol that we can keep, meditate with and use during the day for reconnecting and re-grounding when the need arises. A 15-minute Inner Sanctuary Meditation. This is a very personal meditation that helps us create a deep sacred healing place within. Mary guides us to our own private inner sanctuary – a sacred place to get answers to our questions, connect with our "Wise Woman" or simply rest and heal. Growth Recordings is a division of Growth Management Inc.